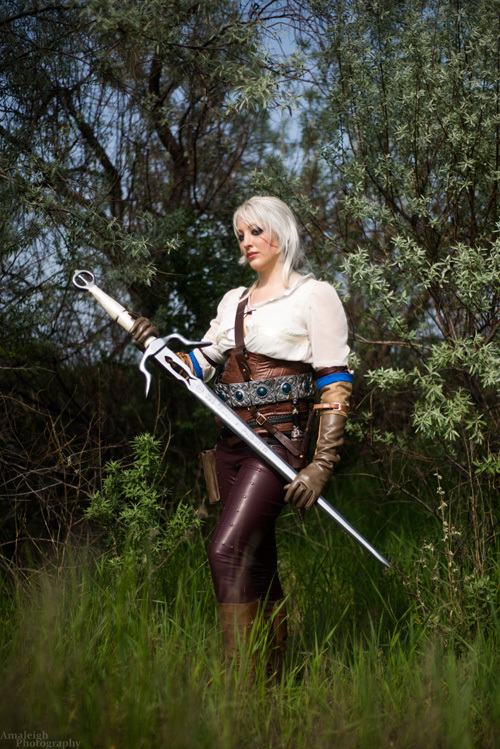 "My name is Michelle Flannigan, I am also known as Zombiekat89 Cosplay. 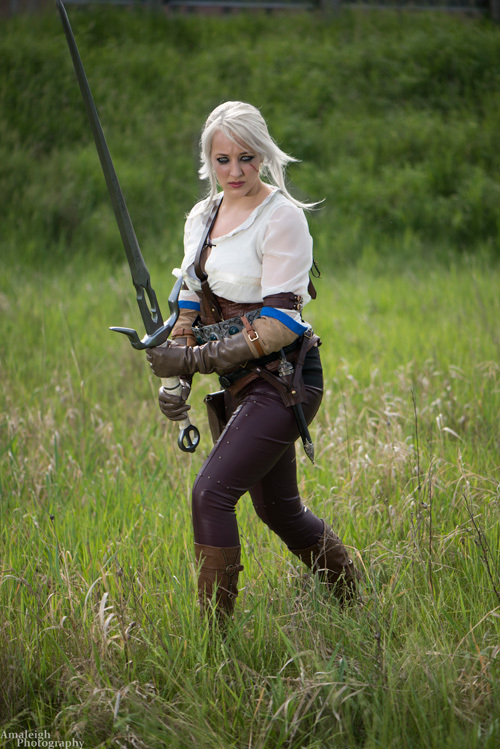 I made Ciri from the Witcher 3: The Wild Hunt this year for Anime North with help from my father. My father and I collaborated in making the sword which is made from 5 separate pieces of wood. I detailed a blue print of the design for my dad, which he took and carved/sanded the wood into my desired design. From there, I took it and did the detailing. I carved out the elder speech on the blade, made the leather handles, and painted it so it was smooth. It took 5 layers of gesso and 4 layers of spray paint to get the shine I wanted. 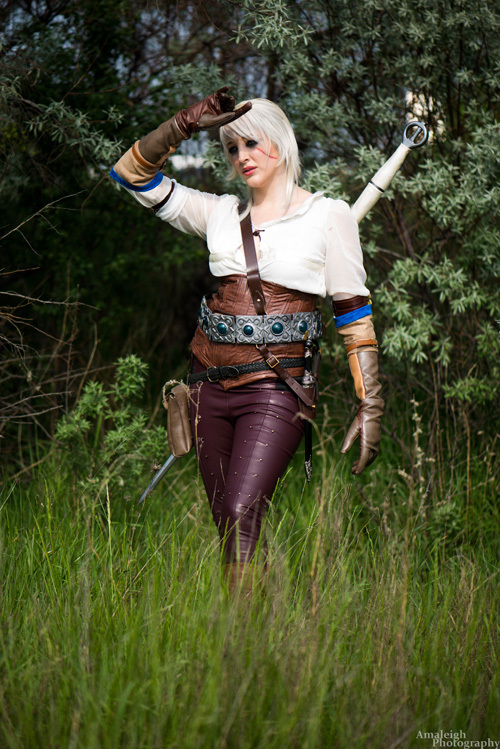 The costume itself is made from mostly handmade pieces I had sewn together except the boots and belts. My favourite part of the costume is definitely my hair, I dyed my hair myself and used a half wig to style the messy bun. 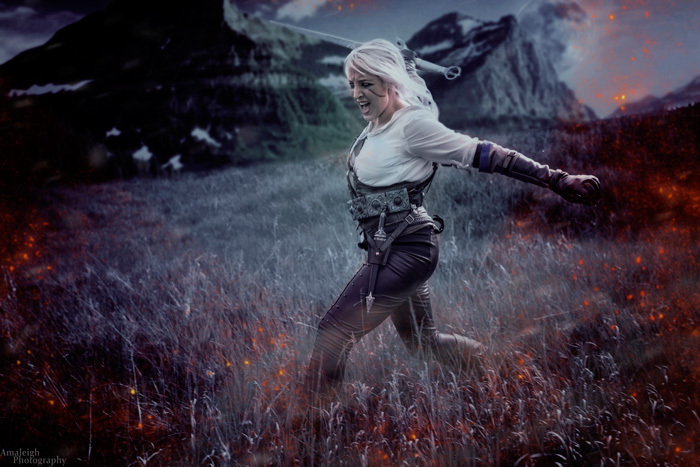 I did this so I could get natural wisps of hair in my face which Ciri is known to have a lot of. If I could do anything over, I would fix my gloves as leather gloves are incredibly difficult, especially for someone who isn't known to be the strongest seamstress. Lastly the jeweled belt (which is another favourite piece of mine) is made from worbla with handcasted gems embedded inside, which I made from a resin casting kit from Micheals. 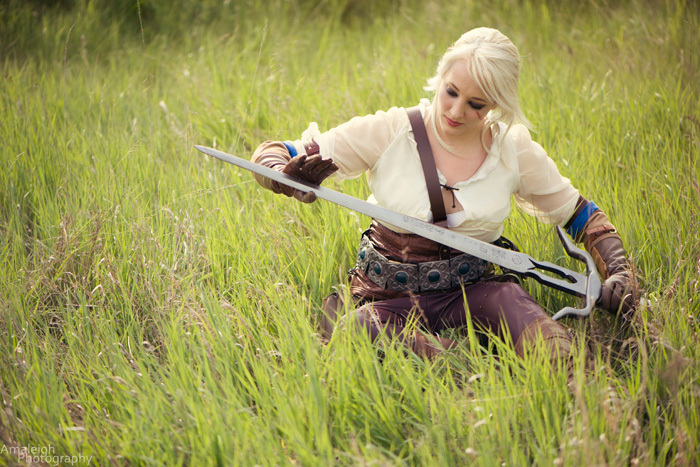 I have so much fun wearing this cosplay and even had more fun shooting with Amanda. She made me feel badass and beautiful and is by far one of my favourite sets I have ever gotten back from a photographer. If you want to see more my cosplays please check out my Facebook page or Instagram at Zombiekat89."